In a world where you’re being bombarded with negativity from all sides, you need to create a psychological wall around your mind to keep your outlook and mindset positive, protected and happy. In this episode, Chad and Stephanie discuss seven practices that can help you build a better mindset and create an environment for yourself and your peers that will promote positivity and happiness. This is episode two of Mindset Week! If you haven’t yet, we’d strongly recommend going back and checking out episode one (it’s going to inform a lot of the discussion in the coming days). 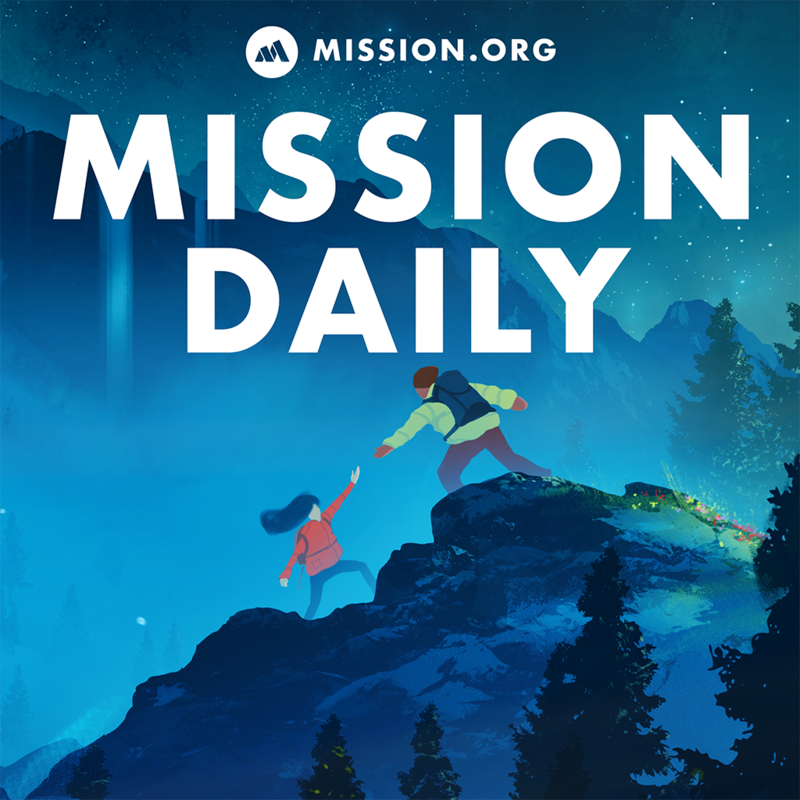 If you like what you’re hearing, let us know on twitter (@TheMissionHQ) and if you want more in-depth show notes, head on over to themissiondaily.com. Take the time to let the people around you know that you’re grateful for them and the effort they put in. It’ll catch on and eventually you’ll have a team of people who always lift each other up and create a happier and positive environment. Don’t be afraid of sincerity. If you’re truly sincere about your gratitude towards someone, they’ll know it and it may alter their entire state of mind. That’s not to say try to control your thoughts. The more you try to shove something down in your mind, the more it’s going to keep popping back up. Instead, just monitor what you’re thinking. If a negative thought pops up, ask yourself where it came from, if there’s anything you can do to solve it, and then let it go. Wherever You Go, There You Are is a great book on this subject, and one Stephanie recommends checking out. A relevant scene from Any Given Sunday (Which Steph has apparently not seen). It’s important to recognize when you’ve had a success and reward yourself accordingly. The same goes for people on your team; commend them on any personal or professional victories they’ve made recently. But, try to avoid over-celebrating business-related victories. As Chad points out, there are way too many cases of businesses celebrating a victory and letting their guard down while danger is slowly looming over the horizon. As part of his research, Shawn Achor took a group of high school students and, instead of telling them not to use social media, asked them to use it to lift up their friends and peers. The end result was a more positive mindset and a greater outlook amongst the students. Social media is so ingrained in modern society that it’s pretty unrealistic to just totally sever ties with it. Instead, use it more responsibly. Try to limit your exposure and, when you are on, try to use it as a platform to create positivity and encouragement. The inverse of this is when Twitter caused a Microsoft AI to become an evil robot by messaging it hateful things. This is why we can’t have nice things. Finding time in the day to sit down for an hour and enter a deep trance state is pretty difficult, so try active meditation instead. Get your body moving, and get your mind focused on the task at hand. Whether it’s yoga, swimming or weightlifting; find something where you can let your mind go completely blank for a while. Is what you’re about to do something that someone who loves themself would do? Take care of yourself, monitor and think about your actions. Sometimes we end up mentally and emotionally injuring ourselves just because we haven’t taken the time to really think through an action.